Do you want to look younger and get your youthful glow back? 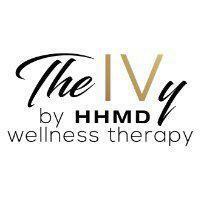 Injection therapy with glutathione—a powerful anti-aging complex—is available at The IVy by HHMD in Glendale, California. The IVy team provides expert and compassionate care through IV drips and vitamin injections to help you look and feel younger. Enjoy natural anti-aging solutions from a doctor you can trust. Call or schedule a consultation online with Dr. Avanes today to learn more. What causes skin damage and aging? As you age, your skin loses fullness and elasticity. Add in the harmful effects of the sun, air pollutants, and stress, and you end up looking older and more worn out than you may feel. Changing fluid levels in the face can also cause puffiness or dry skin. Many over-the-counter and surgical options are available to correct this, but they can be less effective or more invasive than you may want. What is the role of glutathione in skin health? Glutathione is an antioxidant that protects your skin from free radicals that damage your skin. These free radicals come from sun exposure—including UVA and UVB radiation—and air pollution. Without enough glutathione in your skin, these free radicals can cause age spots, abnormal pigmentation, fine lines, and wrinkles. Additionally, glutathione is responsible for processing vitamins C and E, regulating hydration levels via the kidneys, and detoxing the body via the liver. This allows for proper fluid balance, soft skin, and elimination of toxins that can age the skin. Normally, the skin contains glutathione that produces even pigmentation and a youthful glow. Over time, glutathione is broken down so your skin loses its glow and you look older. The body does not produce enough glutathione to replace what is lost over time. Food sources of glutathione are also limited so it is difficult to get enough through diet alone. How can an IV or vitamin injection help with anti-aging? IV drips and vitamin injections utilizing fluids and glutathione can reduce signs of aging. For the most immediate difference, replenishing fluids with an IV drip can restore fullness to your face temporarily. As a longer-lasting solution, glutathione infusions or injections can replenish your antioxidant levels and prevent further skin damage from free radicals while repairing existing damage. Glutathione is well-researched and recommended for its skin lightening properties, which help reduce the appearance of sun damage and hyperpigmentation. IV drips and injections with glutathione can be an integral part of your skincare routine when combined with sun protection, topical products, and a healthy lifestyle. If you’re looking for a natural anti-aging solution, call or schedule a consultation online with The IVy by HHMD to learn more.